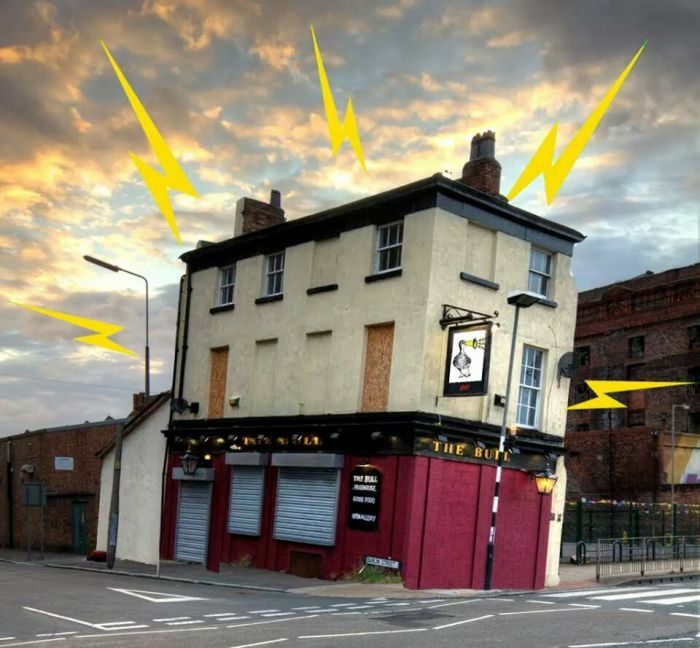 Drop The Dumbulls is listed as ‘positive intervention and reuse’ in Ten Streets proposal, Getintothis’ Peter Guy investigates the on-going concerns of another Liverpool independent venue. Liverpool’s Drop The Dumbulls Gallery is the latest in a long line of creative independent hubs facing an uncertain future due to redevelopment plans. Drop The Dumbulls, based on Dublin Street, the site of the former Bull pub, is a multi-purpose live performance space and recording hub, and home to some of the most inspiring and varied arts endeavours in Merseyside. However, the draft proposal of Liverpool City Council’s Ten Streets programme – a plan which includes one million square feet of development enabling creative companies and enterprises to flourish alongside artistic organisations – earmarks Dumbulls as “positive intervention and re-use”. The proposed Ten Streets plan, which is said to be delivering around 2,500 new jobs, is firmly in the draft and consultation stages, however, it has already raised concerns to Dumbulls owners and those connected to the Lantern Theatre. The Council have, however, recently approved the allocation of funds from the Regional Growth Fund to invest in the Kazimier’s Invisible Wind Factory. In addition the council is currently investing £100m in improving the area’s existing road network as well as creating a new cruise terminal and entering into talks to establish new rail connections. But, in a lengthy statement published by Drop The Dumbulls, owners highlighted their concerns, saying: “The planners, developers, and architects of the Ten Streets delivered their proposal on 10th October 2017 ( http://tenstreetsliverpool.co.uk/ ). The initial documents show The Bull, 2 Dublin Street had “positive intervention and re-use” penciled in. In light of the loss of The Kazimier, Wolstenholme Creative Space, Static Gallery, MelloMello, The Fall Out Factory, Lomax and a multitude of practice rooms and rehearsal spaces across the city, it has once again led to discontent among Liverpool and Merseyside’s music community as another arts space is left seemingly under threat. Dumbulls continued: “Since Dumbulls has come to life we have seen the emergence and growth of The Invisible Wind Factory, North Shore Troubadour, Meraki, O’Tooles and MAKE North Docks alongside us. We have been able to work side by side with the plethora of manufacturing and specialist businesses that have existed for decades. There is however, seemingly some positive news, as Liverpool City Council joined in a discussion over social media this week following The Quietus‘ assessment and reflection on the current state of play of Merseyside music in their analysis of Liverpool Music Week which heavily criticised officials. 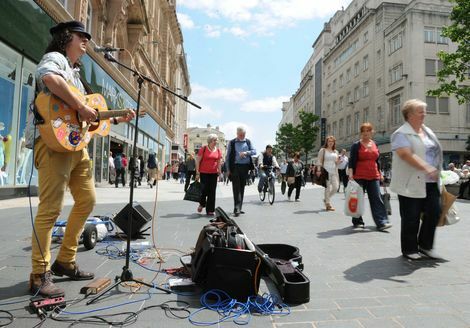 tQ slammed Liverpool City Council for dining out on Liverpool’s musical heritage while neglecting vital new music and the events currently blossoming – a long held position by many of those heavily involved in Merseyside music. The full exchange can be read by following the tweets below. Peter – the gallery is not under threat. As the post notes, we've visited & listened to their views, as you'd expect in a public consultation. The framework document for @TenStreetsL3 is in DRAFT form. The final version will be different thanks to feedback such as this. Meanwhile, you can read the full statement by Drop The Dumbulls Gallery below (it has currently been shared more than 150 times) – and register support by following this thread. The draft Ten Streets SRF will also be available online to view on the Ten Streets website with feedback forms available to collate comments.